Eat Local ~ Read Local Book Festival at Cascades Library! 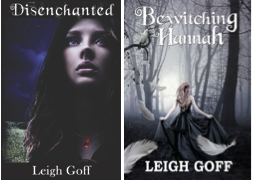 Bewitching Hannah Fun Release Week Giveaway! Hey MD/VA/DC! Join the Read Local Challenge! Barnes & Noble Book Signings! GoodReads Giveaway! Win a proof copy of DISENCHANTED!